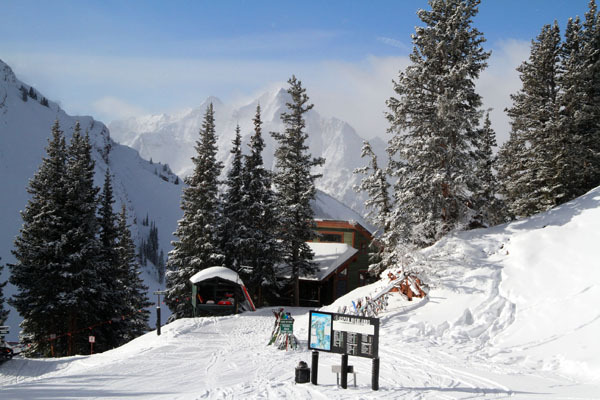 Of Aspen Skiing Company’s four ski mountains, Aspen (Ajax), Snowmass, Aspen Highlands, and Buttermilk, Aspen Highlands is arguably the most challenging and highest in elevation at 12,392′ – hence the name! But Highlands has some nice front side groomed runs, and a beautiful compact Highlands Village at the base. 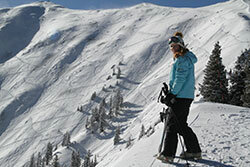 Aspen Highlands has some of Colorado’s best steep, big-mountain skiing, just three-miles from downtown Aspen. Aspen Highlands is also stunning from the summit. 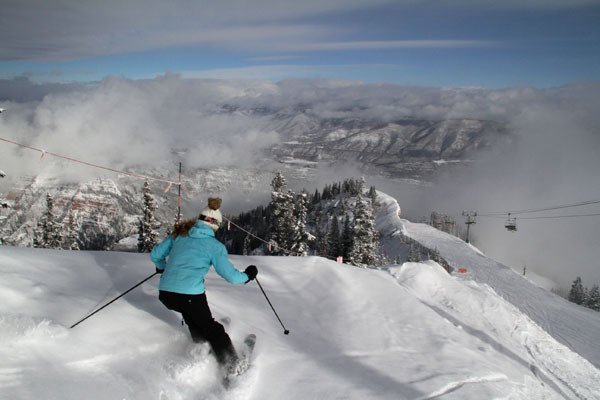 Aspen Highlands is best saved for a family ski vacation once you and your kids are strong skiers, as there is so much super fun black diamond terrain here. Highland Bowl is 1,040 acres – requiring a significant hike that’s worth it (even better catch the cat for a ride) to the big powdery bowl and several chutes. On Aspen Highlands front side, you will find beautiful groomers like Meadows, Kandahar and Gunbarrel. Well placed lifts and gorgeous views of the Maroon Bells will keep you occupied at Highlands for several days. 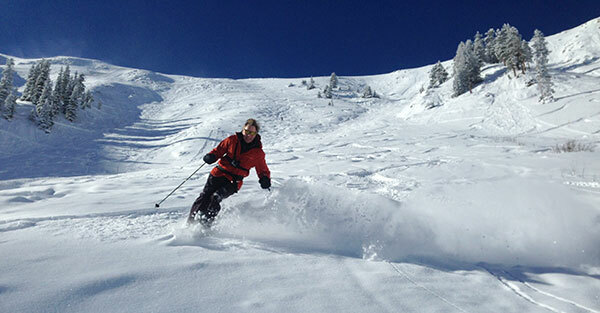 Glade skiers will love the steep snow-filled trees of Deep Temerity and Olympic Bowl. For lunch, ski in to Cloud 9, this classic mid mountain chalet feels plucked from the Alps – serving traditional fondue and raclette with a spectacular view. Go with the kids on the early side before the music pumps up and the Champagne starts to pour heavily here at 10,825’. Highlands does have nice scenic intermediate terrain mid-mountain down to the compact ski village at Highlands Base. Aspen Highland Village is anchored by a few ski shops around a pedestrian plaza, Highlands Ale House, and a Ritz Carlton Aspen Highlands with a slopeside restaurant Willow Creek. 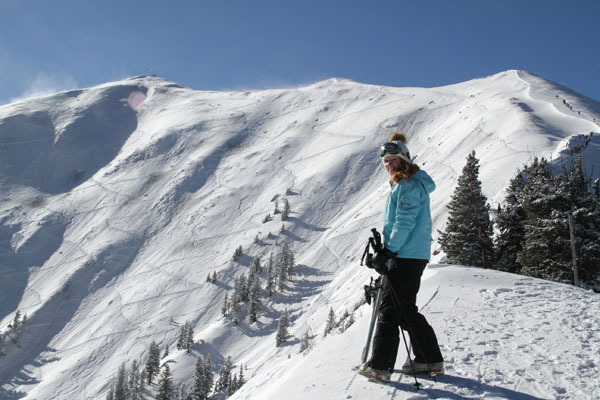 If you visit Aspen on a Colorado ski trip, be sure to ski at least one day at Highlands.